Highly responsive Latex Supreme Range on a 13.5 gauge spring unit. Upholstered in a deep sculptured top in soft touch knitted fabric and a border in damask fabric. To help you rotate it and handle it at home, there are special handles located at the side. 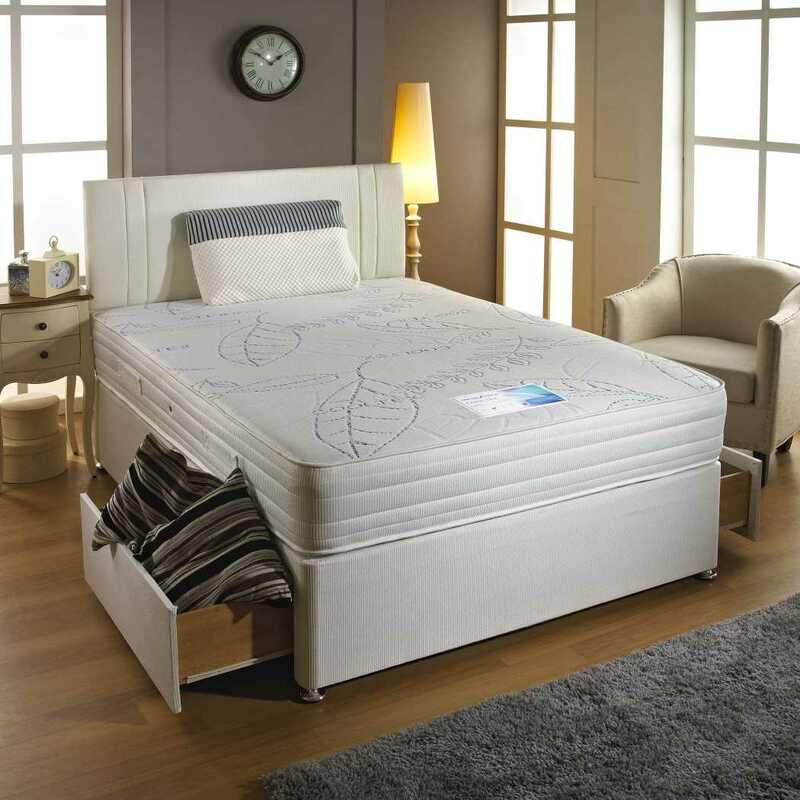 The Divan bed also comes with air vents and on castors. 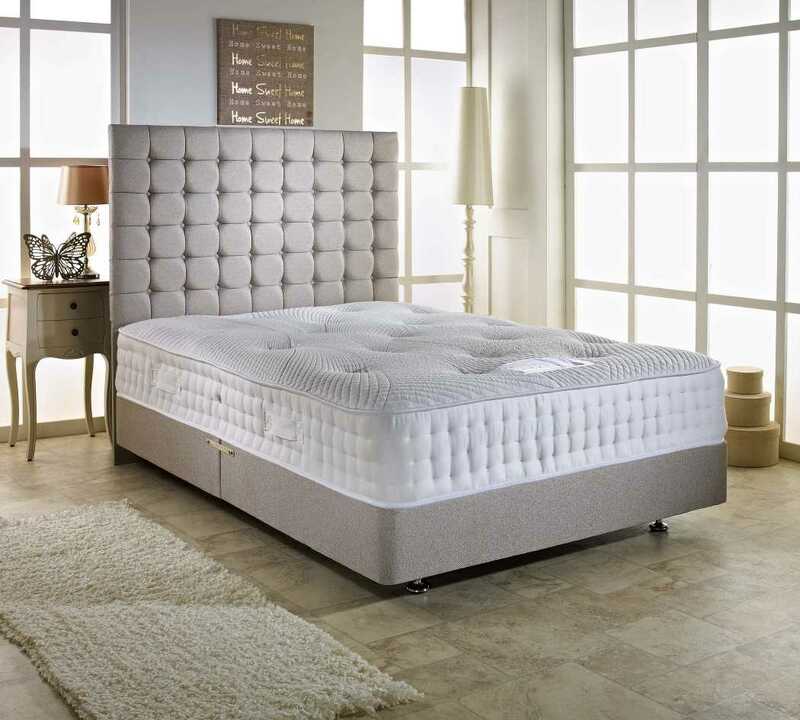 The mattress is finished in a material that helps to eliminate any problems for allergy sufferers and help to prevent any problems with dust mites. Special Air Vents are placed to make the mattress breathable, keeping it dry and fresh. This item has bSueen made in UK with the finest materials, conforming to the British standards.